Cona vacuum coffee maker is diffcult to use? Cona vacuum coffee maker is really easy to use! Cona vacuum coffee maker's ancient history might prompt many to think that it is difficult to use. In fact, using this vacuum coffee machine might be simpler than some "easy to use" espresso machine! Ever wonder why since being introduced in 1910, cona vacuum coffee maker did not change much on its brewing method (vacuum brew)? This is because coffee that is brewed using this vacuum principle is not only brewed at the "just right" temperature, the infusion extracts only coffee oils, leaving behind any other foreign taste or bitterness. 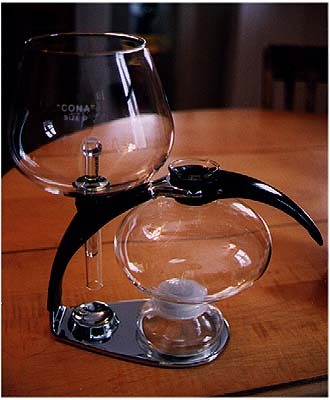 Cona vacuum coffee maker was the original all glass coffee makers and this all glass prevents any contamination of coffee by foreign materials, another value add of using cona. 1. The very first thing is to know the parts, which is the funnel, the bottom bowl with the handler, the strainer, the stand, the lamp with lip. 2. 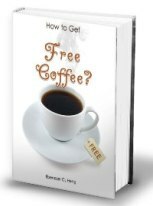 Now, this second portion about using cona vacuum coffee machine is really personal. I was thinking if one is going to spent few hundreds on this coffee maker, then one might as well use good and freshly roasted coffee. This would really maximize the flavor that this brew can give. 3. when choosing coffee ground, choose one that says medium grind as they work best with the cona. A coarser grind will give you a weaker cup and smaller grind a stronger cup. Depending on how much you want to brew, but the rule of thumb is 7.25 grams for 5 ounces of water. 4. Take the strainer and positioned in the top funnel. Add the coffee ground into it. 5. Try not to add cold water into the cona coffee maker as it would take a real long time to get it to boil. So, add boiling water to the bottom bowl (the one with the handle). 6. Turn the top funnel into the bottom bowl with a snug twist and make sure that the seal is seated. 7. Light the spirit lamp. And as the water is already boiling, within minutes, the water will began to rise and infuse the ground coffee. 8. Allowed the coffee to be infused for about 3 minutes, then snug off the fire by placing the lip over the spirit lamp. The coffee would take 3 minutes to filter down into the bottom bowl. 9. Once the coffee is in the bottom bowl, twist off the top funnel and coffee is ready to be serve. It does seems like many steps in using the cona vacuum coffee maker, but it is diffcult to use? I don't think so, in terms of usage, I would deem it so much easier than most espresso machines and more fun than using drip coffee maker. And it gives great coffee too.